Two posts in a week!? What is life!? It helped I had two days last week where I was on my own for dinner so I could branch out and make something different! I love sweet and sour.. anything. Growing up Sweet and Sour Chicken was my go-to Chinese takeout meal. Obviously, my food allergies have limited my Chinese takeout intake. 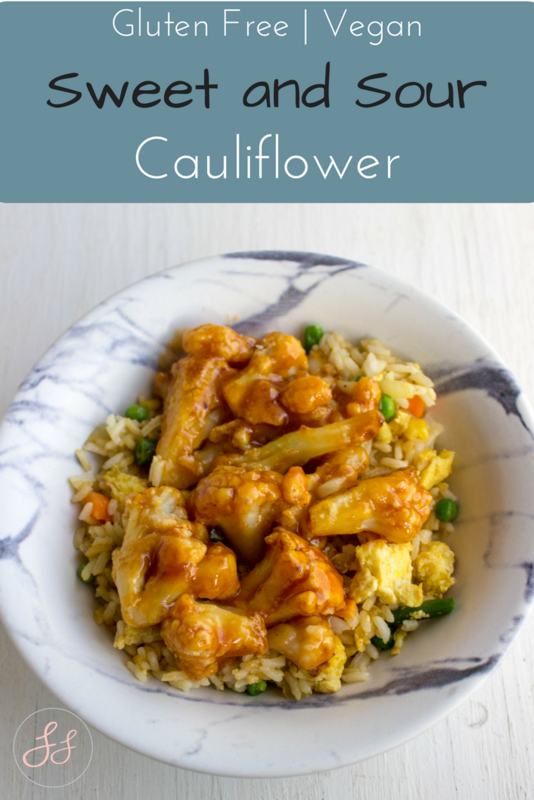 I was inspired by my love of sweet and sour chicken to recreate it with everyone's favorite plant-based replacement... Cauliflower. This is perfect on top of my famous fried rice! Preheat your oven to 425 and grease a baking sheet.While oven is preheating, in a large plastic bag combined cauliflower and oil in a bag.Seal, shake, then add in cornstarch (1/3 cup) and shake again till cauliflower is well covered. Once the oven is preheated, place cornstarch in a greased pan and bake for 15-20 minutes.While your cauliflower is cooking, start making your sauce.In a medium pan, add in the rest of the ingredients (except the cornstarch). Stir and bring the mixture to a boil.Once at a boil at 2 tablespoons to 1 tablespoon of cornstarch in a sperate dish, mix the cornstarch and water together and then add it to your sauce. Let it boil on a medium heat till it starts to simmer then reduce and simmer until your cauliflower is ready. 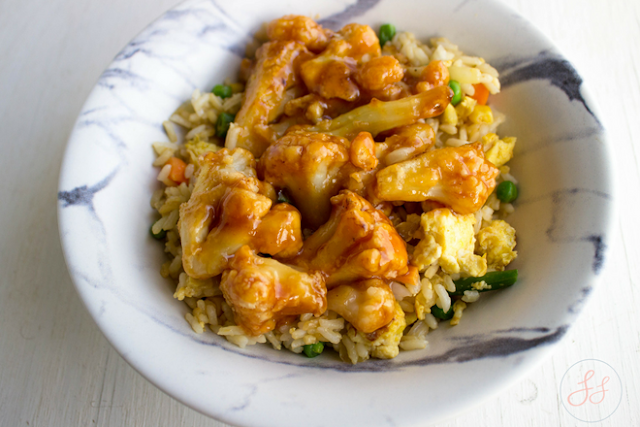 The sauce should be thick enough to coat the back of a spoon.In a bowl add you baked cauliflower and sweet and sour sauce and mix until cauliflower is coated nicely Top on some brown rice or even whip up some fried rice. *You can use fresh Cauliflower. I personally just get two bags of frozen organic cauliflower - let them thaw out, dry them, and use those instead. This recipe is just oh so good! I hope you guys give it a try! 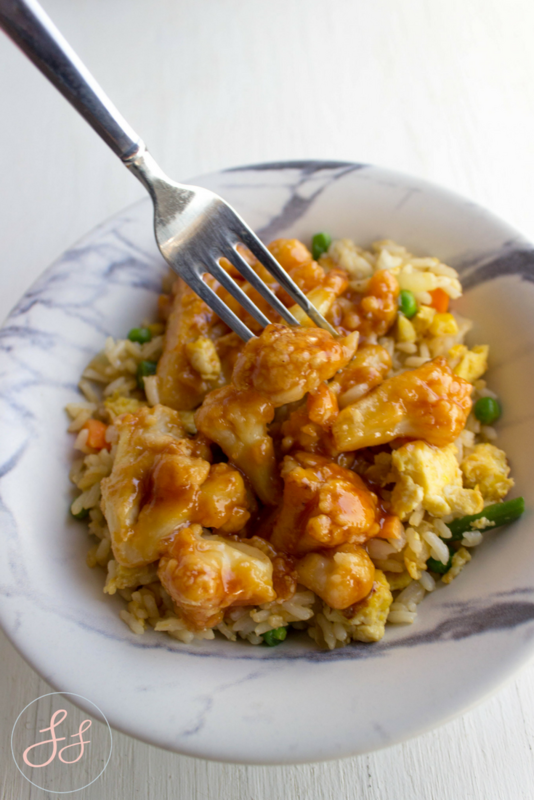 What is a takeout recipe you wish was more allergy friendly?